Nomar Garciaparra turns 41 years old today!! I have been racking my brain for the last few days trying to remember a rookie that has impressed me as much as Nomar Garciaparra did during his rookie campaign in 1997. And to be honest, if it wasn’t for Jerome Walton’s amazing year in 1989 and Mike Trout’s debut in 2012, I would say that Nomar’s rookie year is the most impressive one I have ever been witness to. In the ’97 season, Nomar took the baseball world by storm. He collected 209 hits while ending the year with a .306 average. He belted 30 home runs, collected 98 RBI, and scored 122 times. He was also able to amass 44 doubles, steal 22 bases, and amazingly show enough patience as a hot-hitting rookie to strike out just 92 times. That season was certainly Nomar’s most highly decorated one too. He was an American League All-star and he won the Silver Slugger award, finished in 8th place for the MVP, and was the league’s Rookie Of The Year award winner. The sky was the limit for Nomar and over the next 6 seaons, he finished in the Top 7 for the MVP award five times. 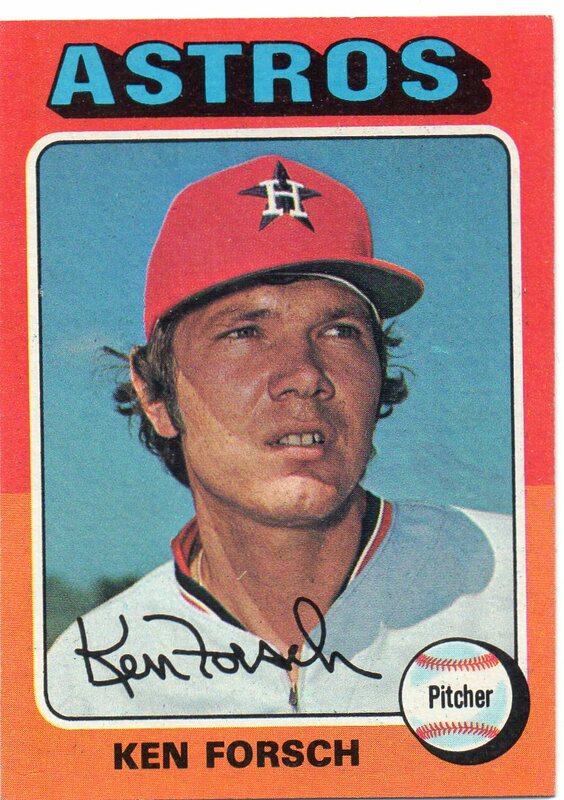 Notes From His 1975 Season: Ken Forsch pitched in 34 games for the Astros in 1975. He compiled a record of 4-8 with 3 saves and an ERA of 3.22. Forsch pitched 109 innings in ’75 allowing 114 hits and 42 runs while striking out 54 batters and walking 30. Notes From Career: Forsch put together a solid carer with a 114-113 record over 16 major league seasons. He spent time pitching for just two franchises over that stretch while becoming an All-Star pitcher for both teams. Forsch retired from the game with a 3.37 ERA and 1,047 strikeouts in 2,127 innings of work. The 2013 Topps Update baseball card set includes a subset tagged as ‘Postseason Heroes. And with that theme, you would expect to find cards of modern players like Albert Pujols, Edgar Renteria, and Pablo Sandoval but none of these guys made the checklist. While he has yet to win a World Series title, Evan Longoria has certainly provided his share of highlights in postseason play. Longo has been a major factor in the success of the Tampa Bay Rays and their ability to land in the postseason. In his first six seasons in the majors, the Rays have been to the playoffs four times and to the World Series once. In postseason play, Longoria has not hit the ball at the same level he has during the regular season, but when he does connect – it counts. 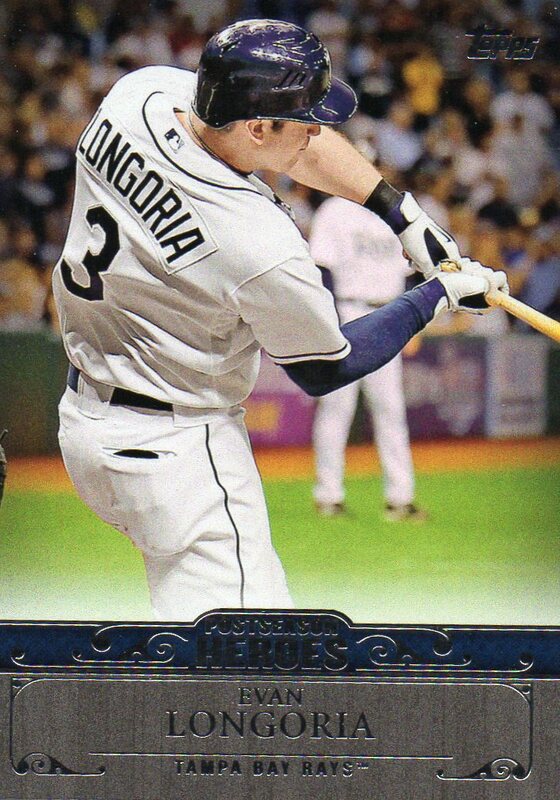 In 30 games, Longo has launched 9 home runs while driving in 21 runs and scoring 16 times. With the right pieces around him, Longoria could very well be a future World Series MVP. 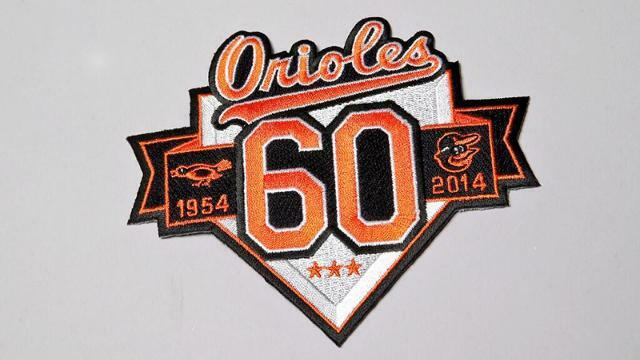 BALTIMORE — The Orioles will wear a commemorative patch on the right sleeve of all game jerseys for their 60th anniversary season in 2014. The patch was unveiled on the club’s Twitter account on Monday, and it uses the 1954 Orioles script and the ’54 bird as well as the current Oriole bird. The three stars at the bottom represent the organization’s three World Series championships. The O’s have not announced celebration plans for their 60th anniversary season, although those are expected to be unveiled in December. It will mark the fourth consecutive season the club has worn a patch on the right sleeve, with last season’s honoring the late Earl Weaver. Another Subset Conquered, My 2013 Topps Gypsy Queen ‘Collisions At The Plate’ Is Done!!! Well friends, it is time to announce that I have completed another subset here at ’30-YOC’. Yes, that is two subsets in one week – A ’30-YOC’ record!!! 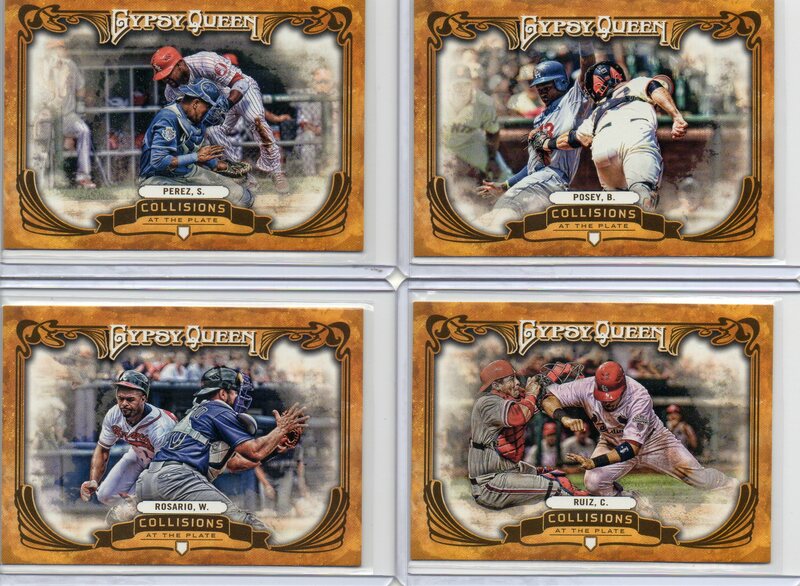 This time around it is the 2013 Topps Gypsy Queen ‘Collisions At The Plate’ subset that I have conquered. And it looks great!! 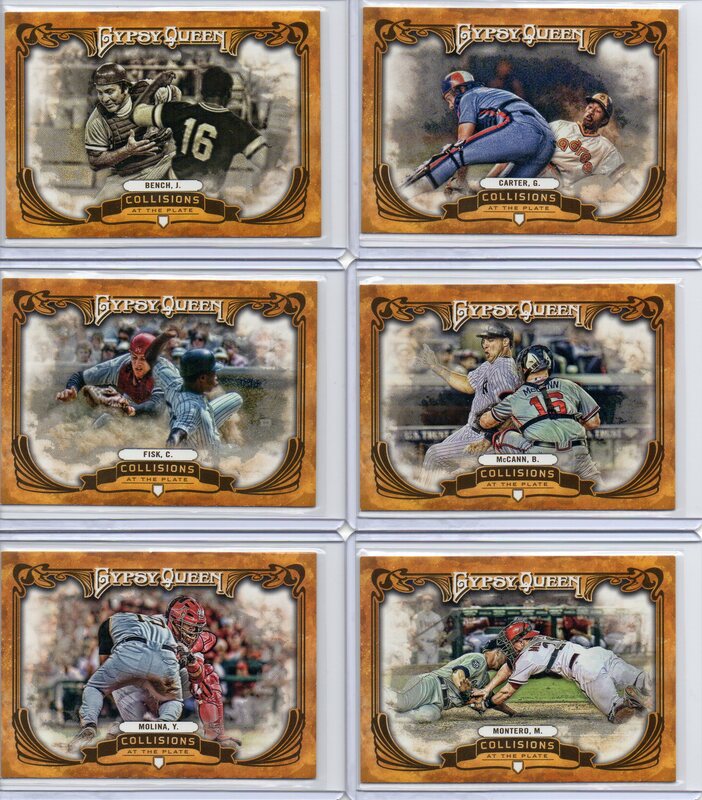 As you all know, I am a big fan of the Gypsy Queen product. I find the base set to be the best looking set that Topps is making at the moment and I also like most of the subsets that they produce as well. The GQ ‘Collisions’ subset is no different – it is packed with action imagery and features some really great coloring too. I have just two issues with the set – 1 being minor and 1 being major. My minor issue is the size of the set – 10 cards. For a guy that keeps his subsets in album pages, a 10-card set just does not work. Pages have 9 pockets, so one of these cards either has to go on the back of the page that features nine on the front or stand alone on the next page. Why not either make the set a 9-card set so it can be displayed all together or increase the number of cards to 18 so it can fill a page, front and back?? My major issue is the player selection. While I fully understand that modern sets should contain modern players, I think that Topps went a tad-bit overboard with the inclusion of seven modern players and just three legends. While the legends included are solid (Bench, Carter, Fisk), I would have liked to have seen a few more like Pudge Rodriguez, Roy Campanella, and maybe someone like Lance Parrish included as well. That’s all – not complaining, just commenting! I love this set, and I love the look of the cards. A very well thought out plan by Topps and the execution of the set was great. Nomar Garciaparra turns 40 years old today!! 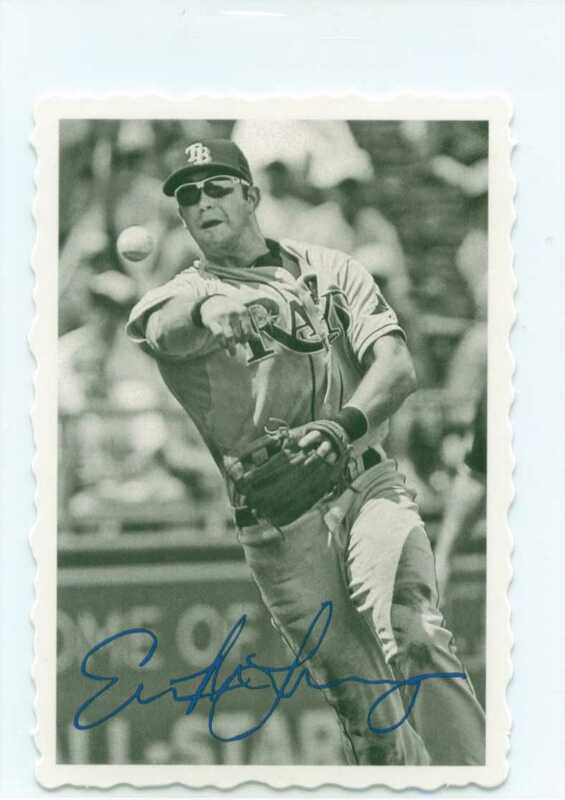 I fully understand why Topps would put a player like Evan Longoria in a set like this. Longoria came out of the gate with an incredible impact on his Tampa Bay Rays team. As a rookie, he showed tremendous promise, and the Rays did the right thing by locking him up to a long-term deal very quickly. Since then, Longo has been an All-Star, been to the World Series, and has provided his share of career defining moments. Now, he just needs to revert back to what he once was and get himself back into the elite status he had as one of the best third basemen in the sport.